Blogger award nominations, new paint and how not to make a colour chart. Warning – extremely long post which may contain waffles. Last year I wanted to setup a website as a “central hub” to posting up my artwork practice. After much procrastination and carrying out very little research as to how to go about achieving that I happened upon WordPress, it seemed an easy place to get up and running quickly and break that procrastination cycle. As I’m very time-limited I’d sort the finer details later on. Well, it’s definitely ‘later on’ and I still don’t really know what I’m doing with categories, tags and suchlike – but hey, I’m posting up pictures a few times a week and there are a few people out there round the world having a look, clicking a like and leaving words of encouragement. So in some form it’s mission accomplished in publishing my pictures rather than just tucking them away unseen in the drawer which is exactly what’s happened for the past few years before this. Now, to this “blogger” award thingy… well, I’ve been nominated twice for an award in the past few days. As mentioned, I’m very time-limited so I’ll readily admit I don’t actually spend a great deal of that time reading the lines in-between the pictures. 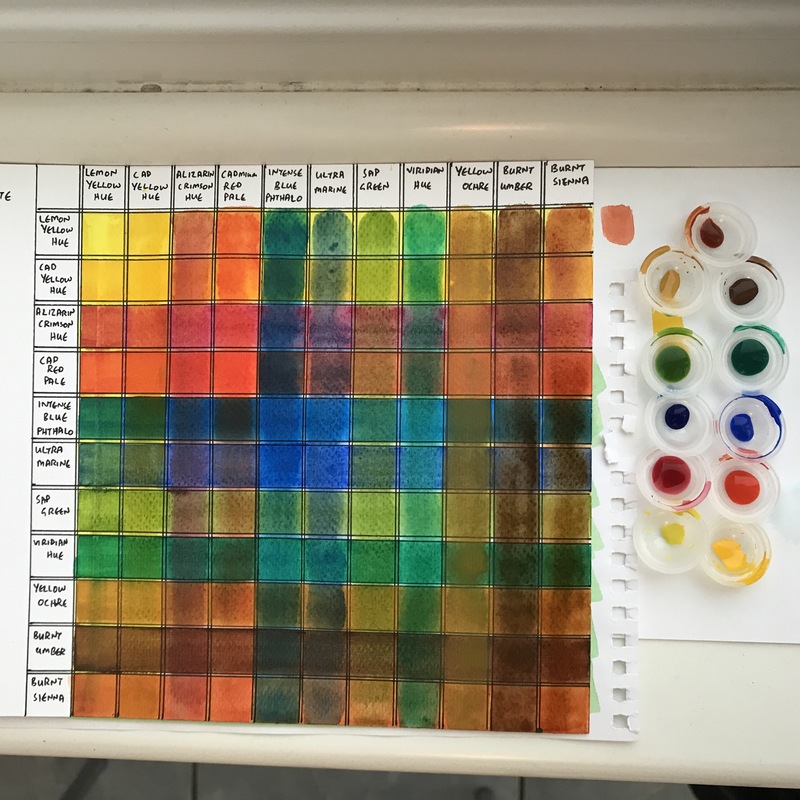 This very post here for instance, I’d probably have skipped the writing and scrolled straight down to the pictures below and would be thinking why is there a colour chart featuring mainly muddy browns anyway. Jacob’s site centres around digital art and I’ll openly profess to favouring analogue, old-fashioned, messy or wet art. But take a look at his creations, emotive and awesome images to be found, real “works of art” regardless of the method employed – and a nice variety of styles. Check out the Norfolk Broads posts for sure, and if you’re into windmills then you’re in for a treat. I’d probably recommend purely on the basis of the fact he once recreated a Sinclair ZX Spectrum, there are very few objects or possessions in this world that I attribute much sentimental value to, but my earlier version of the same computer, the rubber-keyed original version of the ZX Spectrum would be one. I have to stay subscribed to Jacob’s site on the basis that one day he may do a recreation of one of those. When I first encountered Michael’s site I figured it would be primarily about the photography, his black and white images are captivating, he definitely has an eye for composition and much on my own wavelength in regards to what makes an interesting image it would appear. In fact I used one of his photos as a reference for an Inktober drawing and he’s kindly given me permission to re-use it for a “proper” version later in the year – hopefully I’ll get a chance and can do it some justice. But it’s not just the photography – Michael also draws, and I don’t mean rough inaccurate sketches, his skills of observation are translated onto the page with equally matched skills of a draftsman. He introduced me to a portrait process a couple of months back and it really is a case of “leading by example”, top work and I’m glad to have bumped into him in this www. Na Ry – hard to know where to start, I think you’ll have to check it out for yourself. These apparently simple daily sketches are far more than appear on the surface with a quick glance. What you’ll find is pure creativity, how can just a few squiggles represent such a diverse range of subjects? And each is accompanied usually with a one or two word description and a translation to English. Where else would you learn “KAPELUSZOWY KOSMITA (HATTISH ALIEN)” or “MRÓWKOJAD (ANTEATER)” ? I’m in admiration for the consistency, the expressiveness and basically the joy of these sketches. I suspect that Na has never seen a cloud in the sky, looking up has only ever seen patterns representing rabbits, typewriters, strict headmasters and jellyfish. These may be simple drawings, but I still feel I could learn a lot from these visions. “If you are looking for oil paintings or high art then turn away now, you won’t find it here.” – those aren’t my words, those are the words of PMU. What you will find is a regular feed of not just random scribbles, but a collection of creative doodles which have a unique style. With the emphasis on the word “style”, these are quality drawings. 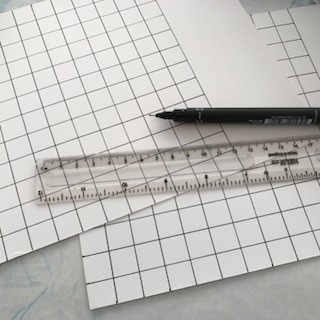 As with Na Ry mentioned above, at a casual glance you may be mistaken to think you’re looking at simple doodles but these are real works of art – compositions of excellence. There may be simple concepts at work here but they are simple concepts put into play by someone with an excess amount of natural talent (please bottle some up and send it over PMU). And again, there is a consistency going on which you won’t find here on my own site, maybe one day I’ll settle into such consistency rather than the randomness of quality and style I’m currently producing. Hat’s off to PMu – for setting a challenge, and sticking to it without apparent distraction, creating your “own” art. I’m not sure if non-Wordpress blogs are supposed to be mentioned here in nominations? I can’t see why not. Well, I’m mentioning this one anyway as Learning to See has truly been integral to my art development. It’s so much more than just a blog, the site is run by Paul Foxton who is an immensely experienced artist and yet is humble enough to realise and state that it’s a continuous journey of learning. He is open, honest and distributes advice of the highest quality. I was already firmly on the path by challenging myself to draw every day for a year when I first encountered the site. But Paul’s site, alongside his encouragement and personal advice via a forum he started up with regards to the benefits of focussed practice was a real benefit. As well as the drawing and composition subjects from before he’s big on colour theory and has even written (and videoed) training courses around it. I’m not currently able to take on oil-painting, but when I do then I have absolutely no hesitation as to where I’ll be heading to learn the ropes. I count Paul as a friend, and if nothing else transpires of my late appearance into the world of art then I can still be glad that I’ve met such a fine upstanding fellow. It would appear customary when nominated to answer some questions from the nominators post. Thus I’ve picked the questions from Michael and Jacob who both nominated me. What influences, if any, has blogging (or the blogging community) had on your art? None, no influence on my art at all, at the moment I’m still following the same path I would’ve done without it. However… previously I was practicing pretty much every day but there was an occasional “off” week, infrequent but existent. If I had to look for any influence of starting this website it would be that it’s having the desired effect of additional “peer pressure”, if I don’t provide an update for a week then it’s hanging over me – draw draw draw – do it now!! What is your favourite medium, genre, or subject as it applies to the art you create? I’m not experienced with mediums other than drawing, throughout 2017 I used ink more and more, Inktober was certainly a driving force in sealing the fate for any pencil drawings I might otherwise have been doing. If you could describe your blog in one word, what would that one word be? One word? Can’t it be three? I want to write “skilled NOT talented”. What do you like to do in your free time (besides blogging)? Free time, what is that again ? Instead of blogging you’ll also find me jogging, I’ve run a couple of marathons. Last year I broke my foot so had to take to cycling instead, I managed to do the London-Surrey 100 miler (161km) which was on the 2012 Olympic course. The riding was a good alternative but just too boring and time-costly spending that many hours in the saddle – how could I have improved my art had I spent the same amount of time on it? I’m also a bit of a petrolhead, so driving sportscars, going to race meetings, that sort of thing used to be part of my life but just don’t seem to have the time for it these days. A roadtrip with a sketchbook sounds perfect to me. Do you read books? any favourite genre(s)? I’m not going to reshare it, what’s in the past is done – I’d rather focus on the future. It didn’t even get into the top-ten of liked posts but I think of the drawing “Self-portrait of my inner chimp” is probably one of my favourite drawings, it’s nice when you are doing a drawing and it seems to be coming together well, so much so that at the end of it you can sit back, smile and think – that’s shown some definite progress. I can’t say that about every drawing, and it would be unrealistic to expect it. It’s one of my faves for sure though, would like to do more of that nature – where are those pencils??? Phew, now onto the art stuff, if you skipped down to here then I appreciate your efficiency to cut to the chase and ignore the guff. As mentioned, I really want to start to learn to paint – whilst I’m nowhere near where I want to be yet with the scribbling I’m determined to introduce more colours to my artwork and go much bigger. 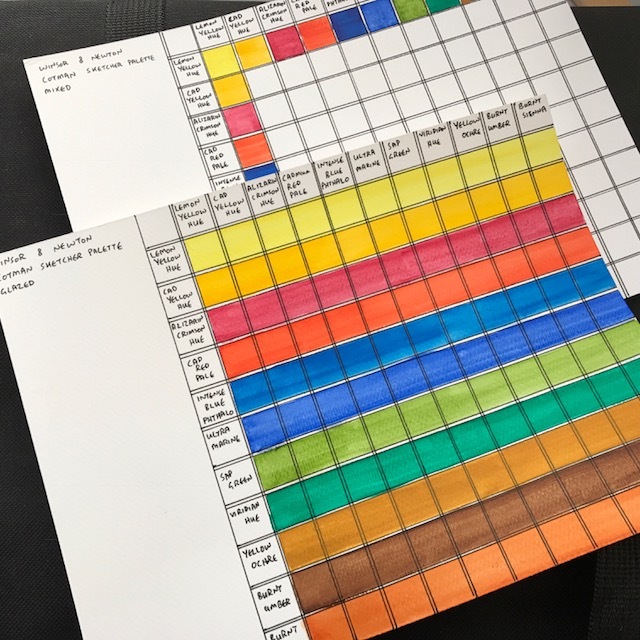 I bought a student’s watercolour sketching set a few months back and after a bit of youtubing and reading about the basics it seemed a good idea to make a colour chart with my palette of 12 colours. There seems to be two methods around this, both involve drawing out a grid to make up colour swatches so that’s what I went ahead and did. 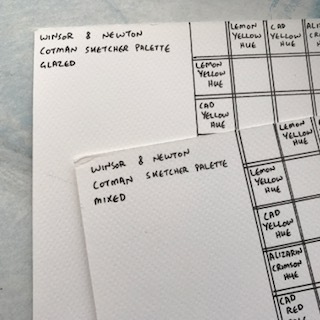 Mistake 1 – I thought I had it figured out with regards to the amount of squares to include, the idea being that you’ve got a mix of each possible combination of two colours – obviously to do a combination of three colours just bends your head out of shape. But it seems my head was bent out of shape already as I didn’t do enough rows and columns, not shown here but I had to add another little grid on the left hand side to include the missing colour. As you can see, I’d named the charts “Glazed” and “Mixed” – meant something to me at the time but here’s the theory. Glazed – paint a whole row with the colour, and after allowing to dry – like really really dry, simply do a “glaze” of the colours for the columns. Watercolour being transparent will “mix” the colour and the theory is that a blue over a red won’t necessarily give the same as a red over blue. 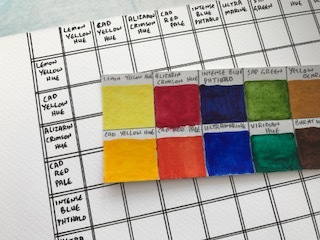 Mixed – paint each individual square, doing the one colour solids first – and then mixing the individual colours separately on a palette and then onto the square. Because you’re going to have two squares of each mix I decided to have one as a lighter more watery version. It sort of worked. Now onto Mistake Two – as you can see from below, I’ve turned those lovely rows of colour into a mish-mash of ugly muddy browns. One colour running into the next, the ones on the top left look OK.
Now I’d like to advise what went wrong, but as I’m new to this I don’t actually know. 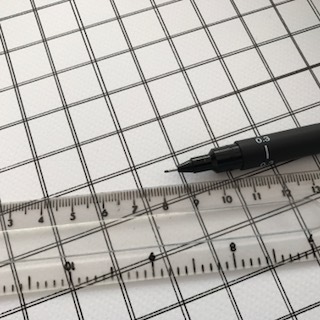 The paper had totally dried for a week or so, and I thought I was doing exactly the same as a YouTube video I’d seen this on. But as is the way when copying someone skilled, they make it look easy when it’s anything but. There is a positive, two in fact, from what you might be viewing as a negative experience and a pretty meaningless post. 1 – failures are essential to learning, you need to fail, you need things to go wrong so that you can develop and figure out what went wrong. That experienced youtuber? I bet she’d done something like this a hundred times over (she was really very good) but I also bet that the first few didn’t look like her last few. 2 – to me, a more important positive was this little thing…. !!! THIS WAS FUN !!! As I’ve said probably a hundred times now – I encourage anyone and everyone to give this a go, if you say to yourself “I can’t paint, I can’t draw”, well – have you actually tried? I bet you can. You can see from above – “I can’t paint”, but what I actually mean is… I can’t yet get paint to do what I want, maybe I never will – but all the time it is fun, I’m just gonna keep on doing it. Ah, very cool! I have just started painting as well! In acrylic though… Here’s new skills and some color in 2018! I follow 2 or those 5 artists, too. Nice choices and I’ll be sure to check out the others! What made you decide to go for acrylic rather than watercolour to start with? I had some advice from an older artist friend – she said acrylic painting was more forgiving. And even your early attempts won’t be bad! It’s easy to blend colors too, and it dries quickly enough so you can paint in layers. Matte medium helps extend the drying time. Also keeping the brush damp with water! Thanks for the kind words, as always, they’re appreciated. I enjoyed reading your post. You always keep the banter witty and entertaining. It was interesting learning a bit more about you personally. I’ve never been a runner but I use to be an avid cyclist myself. However, I preferred riding my bike over roots and rocks with a healthy canopy of trees above me providing shade (A single speed hardtail mtn. bike was my tormentor of choice). I will be looking forward to seeing your watercolor skills develop. Good luck! Thanks for including me in such a lovely way! Also great to see Na Ry get a shout out to as she’s one of my favourites. Steve I’m so honoured and thankful for this nomination!!! And it’s not just a it’s almost like an 😀 I’m surprised, moved and pleased, many, many thanks! Glad to hear it, keep up the boundless creativity Na Ry – your updates are great !! Haha, no worries – I’ve got the real thing to look at should I feel the desire. Maybe I’ll do a painting of it – I’m determined to bash out more coloured works this year and as it was named Spectrum literally because it was capable of colour rather than monochrome like it’s predecessors it would be quite a fitting tribute. Just hope I could do it justice. Something funny with that Speccy, it was boxed up and untouched for several years. It was when I moved house I got it back out the box for a look, but the thing that really got me was the smell of it. I’m not sure if Sinclair had some different kind of etching fluid for their circuit boards or strange solder but the distinct smell instantly recalled me back to childhood. I think smell, taste and hearing (music) as senses are actually more capable of triggering memories and emotions than visual stimuli. Yes, do think about a painting! Maybe you could try some Speccy aesthetic stuff, too – big blocks of overlapping/clashing colour! Oh, there’s definitely something to what you say. Just in the realm of old games, it does take you back just touching the old controller and joystick again. And I am nostalgically struck far harder by music tracks than I am visuals; the original Sonic games instantly spring to mind. Beautiful music from some of the first games I ever played! Maybe set against a background of Chuckie Egg, Jetpac, Atic Atac, Manic Miner….